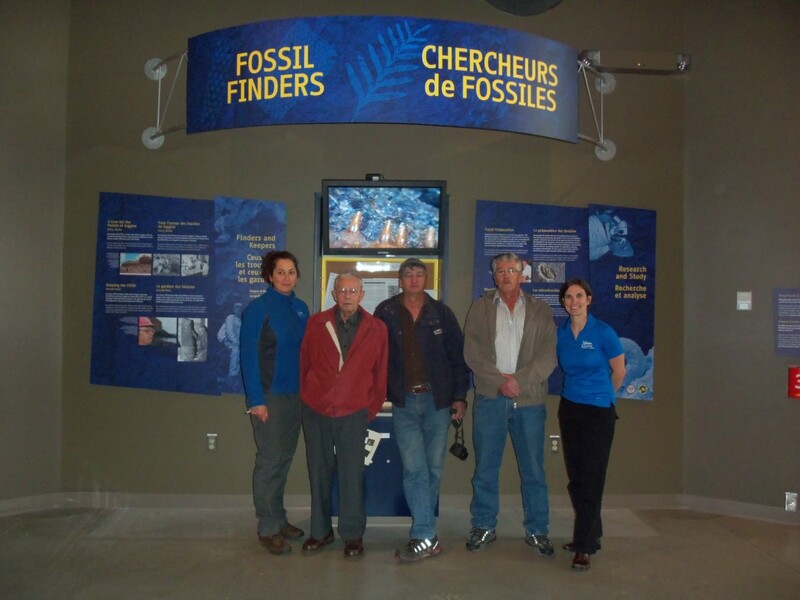 CGF has provided two grants to the Joggins Fossil Institute for their project entitled “Joggins Fossil Cliffs Fossil Finders Exhibit”. The awards were made from the Jérôme H. Remick III Endowment Trust Fund. The exhibit was recently opened We had over 50 people in attendance. The local elementary school (grades 5-6) came with their teacher to find new fossils to populate the exhibit. 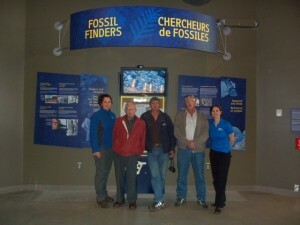 The Reid family (long-time local fossil finders and JFI “Keepers of the Cliffs”) are shown in the photo in front of part of the new exhibit space. PetraSapiens is a small organization founded in 2006 whose purpose is to promote Earth, Planetary, and Environmental Sciences to kids and the general population. Its main activities are lectures and workshops on topics such as dinosaurs, the evolution of life, the evolution of Man, the mineral world, Earth, the planets of the solar system, the planet Mars, climate change, waste characterization, recycling, etc During our 9 years of activity, we have now given about 1100 presentations to about 33000 people in numerous schools and science festivals all over the Quebec province from Montreal to as far as Lac St. Jean, Fermont and Schefferville. We have always received very positive feedbacks from kids and teachers. Actually, many teachers have requested us not only to come back to their class for other presentations in the same year, but to come back also year after year. After our presentations, it is also pretty common to hear kids telling us that they want to become either a geologist or a paleontologist when they will be grown up. Some teachers even told us that they are quite surprised to see the sudden interest and implication of some difficult students during our lectures. 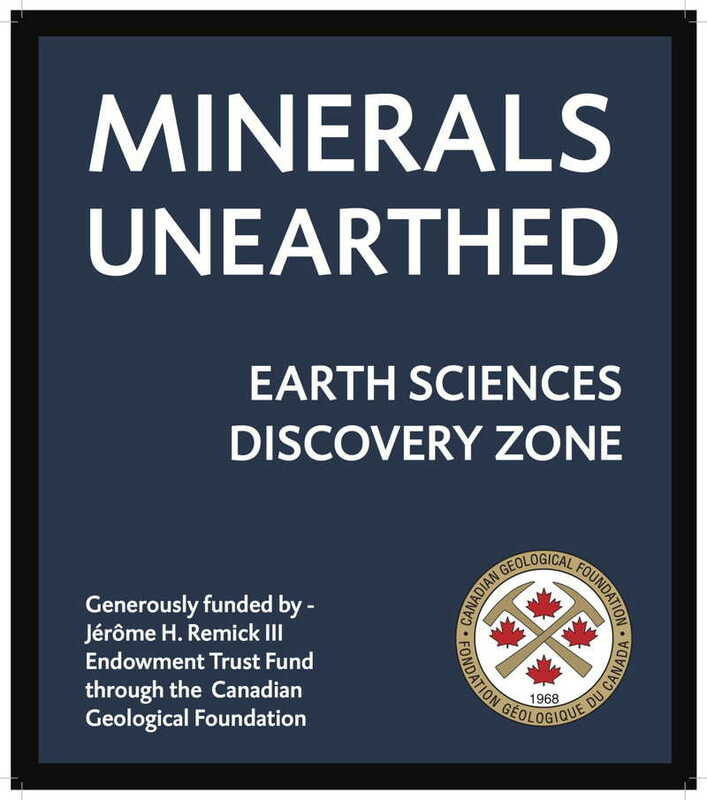 Since 2008, PetraSapiens has obtained numerous grants from the Canadian Geological Foundation, which allowed us to purchase materials to complete some of our activities. Here’s a short summary on how all this CGF funding was used. 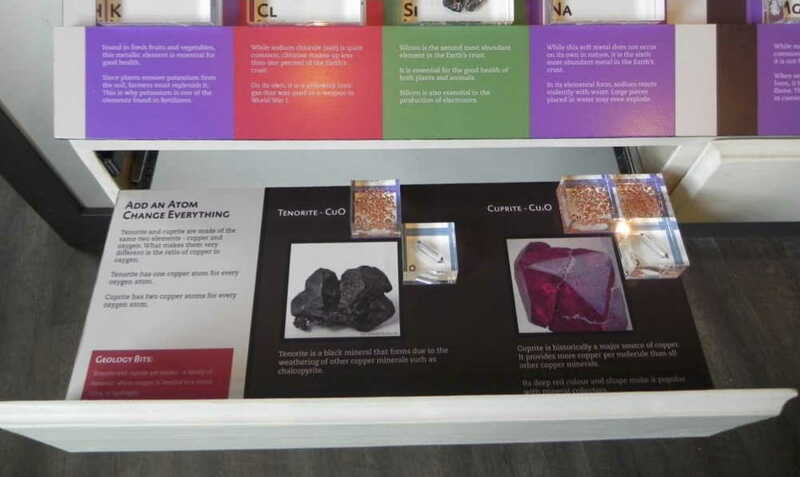 Like the surface display, the drawers comparing tenorite/curpite and covellite/chacocite contain the appropriate elements encased in resin. For these, the elements are in the correct ratios, e.g. tenorite has one oxygen and one copper block, whereas cuprite has one oxygen and two copper blocks. For the malachite and azurite drawer a specimen of each of the minerals was included to add variety to the display. On October 24, 2014, the Pacific Museum of Earth hosted a 1-day teacher training workshop. We hosted 21 K-12 educators from the Lower Mainland for a day of Earth science lectures and activities. Workshop registration was free for teachers and the PME provided lunch as well as specimen kits, which contained a selection of rocks and minerals. We plan to run our teacher training program annually as a means to forge stronger relationships with BC schoolteachers, introducing some to Earth Sciences for the first time and building upon past experiences for returning participants. Many K-12 teachers feel unprepared to teach this area of the science curriculum. In particular, teachers who come from an arts background are confused by the range and depth of the subject material and unsure how to present it in the classroom. 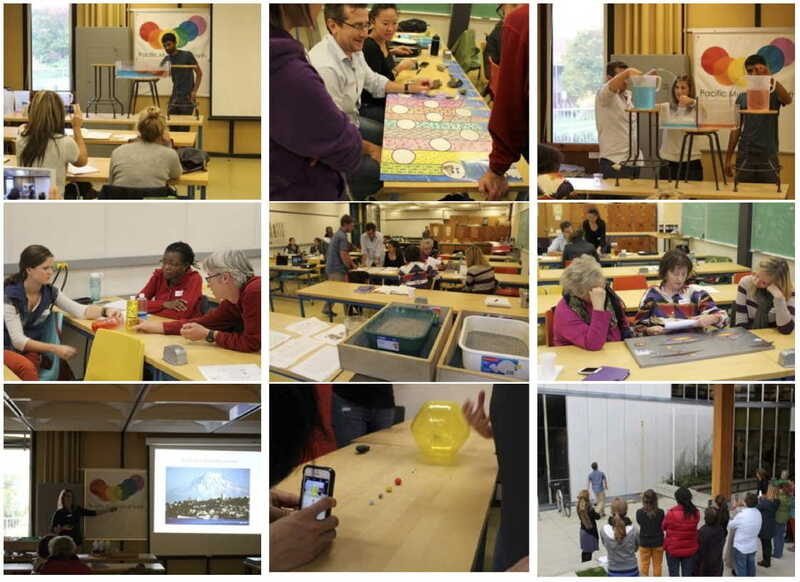 In our workshop, we explored K-12 program requirements through presentations, hands-on activities and experiments. We linked each topic to the Prescribed Learning Outcomes as detailed in the BC curriculum. Graduate students and instructors from the Department of Earth, Ocean and Atmospheric Sciences led 30 minutes presentations for each topic followed by a 20-30 minute hands on experiment or activity. We ordered a catered lunch for all of the teachers and instructors. We evaluated the effectiveness of the workshop through an anonymous online questionnaire where teachers could provide feedback and suggestions for next year. 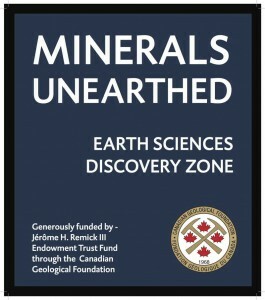 We appreciate the support provided by the Canadian Geological Foundation and would not have been able to successfully run these programs without it! CGF grants helped support the Stonehammer Geopark in New Brunswick host the 6th International UNESCO Global Geoparks Conference in September 2014. 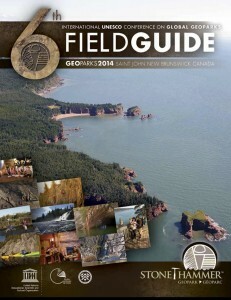 CGF funs helped support production of the field guide, and educational outreach programmes. Twenty six grants were awarded in 2014, for a total of $237,000. Most of the grants were single year, with four multi-year awards. The Bancroft Gem and Mineral Club received $25,000 from CGF (Grant 13-3) to refurbish displays at their Bancroft Mineral and Mining Museum. Images of this successful project follow. 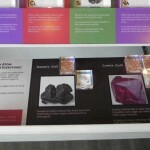 The “Petit Musée de minéralogie de l’UQAC” has reported that the $8000 grant provided to them in 2011 has resulted in the installation of new display cases for their mineralogical displays. 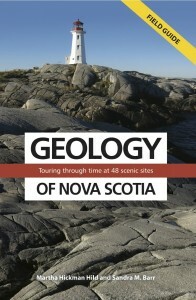 They are presently preparing material to display which should be ready sometime this fall, so please visit if you are in Chicoutimi.